If your pet is a dog, please make sure to walk him/her at least an hour before the photo shoot. This will help put him/her in relaxed state by getting rid of that crazy energy. Do remember that we are going to create cherished memories during the photo session and your only job is to relax and enjoy yourself. The best photos are going to be the ones where your pet looks super relaxed and happy doing what he/she does best: look darned cute. So just try to go with the flow and don’t worry about getting “the perfect shot” because I promise you, it will happen naturally. Do remember that pets have short attention spans so we’ll need to resort to some tricks to grab your pet’s attention from time to time. We’ll use squeaky toys, healthy treats and weird noises will probably come out of my mouth (so don’t be alarmed). Some of the greatest shots are where the pet’s head is cocked after hearing a funny sound. Don’t call your pet’s name unless you want it to come to you. In order to get your pet’s attention, we will be using squeaky toys, treats and I’ll make ridiculous noises. This will result in your pet looking toward us and not walking toward us (unless we specifically want your pet to do that). From time to time, I’ll ask you to stand behind me and help make some funny noises to get your pet’s attention. 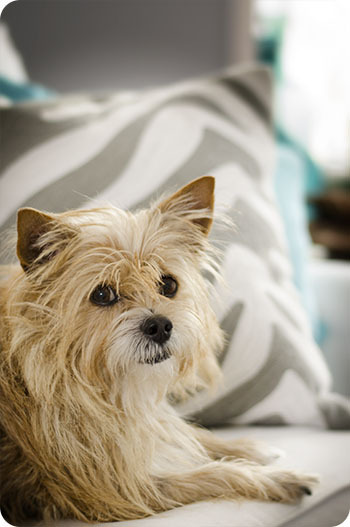 Don’t take your pet to a public place for the photo shoot if he/she is anxious or fearful. This will just result in a disaster so in this case, it’s best to stick with the comforts of home. I’m sure you have a great spot in your front or back yard conducive to the shoot. A nice shady spot is best – direct sun is NOT our friend. Don’t allow your dog off leash in any public location (because it’s the law), but especially if it has known dog-aggression issues. I can magically get rid of the leash with editing software, so the leash itself isn’t an issue. What may become an issue is your dog chasing after someone else’s dog because he’s in the mood for a little snack. This may be another case where it’s best to stick to the comforts of home. Don’t forget to love your pet during the shoot. This should be a fun event for everyone involved, especially your pet! If you have any questions about anything before your shoot, please contact me and I’ll be happy to help you any way I can. I want you to remember this day forever by having a positive experience!